Home > Insurance > Is Loan Payment Protection Insurance Worth It? 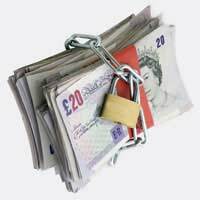 Payment protection insurance can seem like a sensible option especially when financial times are a bit rocky. You may want to cover your family if you lose your job or think that the extra cost is outweighed by the peace of mind. All these are valid considerations but don’t feel pressured into taking the insurance. It can work out very costly and often be difficult about paying out. Before you commit to any type of payment protection insurance look at the fine print and consider your other options. Whenever you take out a loan or a mortgage, the lender will try and get you to buy payment protection insurance on top of it. They will sell all the benefits to you and try to make them outweigh the extra cost involved. In reality, the insurance, once compound interest is taken into account, can add between 25% and 50% extra onto the amount of money that you are paying back. The main reason why people decide to fork out the extra expense is so that they have peace of mind in case they lose their job or become ill. This is a very reasonable worry but you need to look objectively about how much it will actually protect you and if there are any other ways of paying the loan. Consider the fact that most schemes stop paying after a year or two, so if you are out of work long term then you will have to find another way to pay anyway. Like any kind of insurance, you need to look carefully at the terms and conditions before committing to it. Find out how long they will pay out for and how long you have to been off work before it kicks in. Also, consider whether they have any clauses about pre-existing medical conditions, stress or backache or about working less than sixteen hours a week. Before you sign up and pay out you need to make sure you will actually be covered when you need it. It is sensible to make sure you are protected if you lose your job or are incapacitated but there are other ways to handle it. Sometimes other insurance schemes, such as one though your company, may cover your loans. Think about whether you could borrow the money from friends or family in the short term as most plans only pay out for a year anyway – this will probably depends on how large your repayments are. Also, consider whether saving your own money towards difficult times might be a better option. Payment protection insurance is very common and it is easy to feel pressured into accepting it. It can offer you peace of mind but isn’t right for everyone. Work out how much extra you are going to be paying, once interest is added and then see if there are any other options you could consider. Also, before signing up, make sure you are clear about the terms and conditions, when they will and won’t pay out and for how long.